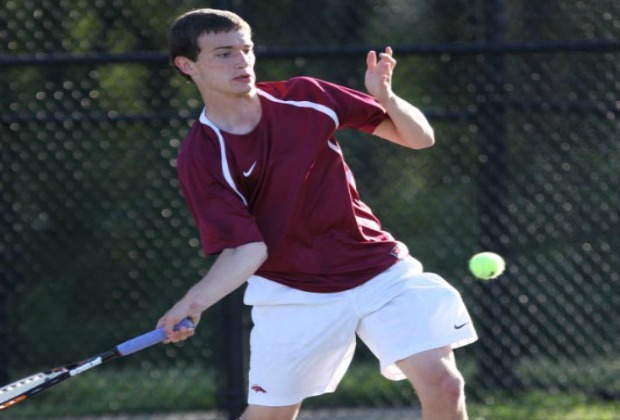 The GHSA tennis championships are set to take place tomorrow at the Clayton County International Park and several familiar names will look to collect more hardware for their trophy cases. Brookwood, which knocked off Westlake in the semifinals, will meet North Cobb for the boys Class AAAAAA title. Jaryd Reese and North Cobb edged past Peachtree Ridge 3-2, the same score Brookwood posted to advance to the finals. … Walton will look to win its 11th title in the last 13 years when the Raiders face the Peachtree Ridge girls Saturday. Walton has dropped just one point in four rounds of the playoffs heading into the finals. Peachtree Ridge blanked Kennesaw Mountain 3-0 in the semifinals to reach the championship round. … Starr’s Mill will try to win its frist title since 2007 when the Pathers face Lakeside-Evans in the girls AAAAA finals. The Starr’s Mill boys will try and make it a clean sweep of the AAAAA titles with a date against Union Grove. Starr’s Mill won the 2010 AAAA title. … In Class AAAA boys, Madison County blew past South Effingham to reach the finals while Columbus also enters with some confidence, having taken out Spalding 4-1 in the semifinals. Neither program has won a GHSA state title before. … The Marist girls saw their bid for a fourth straight title foiled last year as Johns Creek won the AAAA title, but Marist has a chance to reclaim the crown against LaGrange, 3-2 winners over West Laurens in the semifinals. Marist has 15 team titles since 1995. … The Blessed Trinity girls have won four straight titles and will try to win the program’s first AAA title since 2007 against Woodward Academy. Woodward won back-to-back titles in 2010 and 2011. … Blessed Trinity meets St. Pius X in the boys Class AAA finals with the Titans angling for their first state title since 2010. St. Pius X won the AAAA title in 2001 and 2004 but has not taken home the top prize since. … Westminster and Lovett have been missing from the GHSA title picture since Lovett won the AAA title back in 2004, but Westminster has a rich history of seven straight titles from 1997-2003. … Westminster is one of the top boys programs in the state, having won 12 titles since 1995, including the last two Class AA crowns. Westminster’s opponent, Wesleyan won the Class A title in 2011. … In Class A-Private, First Presbyterian Day meets Walker for the GHSA boys title. Walker won the Class A title in 2010 while FPD has never won a GHSA title. … In girls Class A action, Irwin County and Baconton will meet for the public title while Walker and Mt. Pisgah will battle for the private title. Mt. Pisgah is the two-time defending Class A champions.